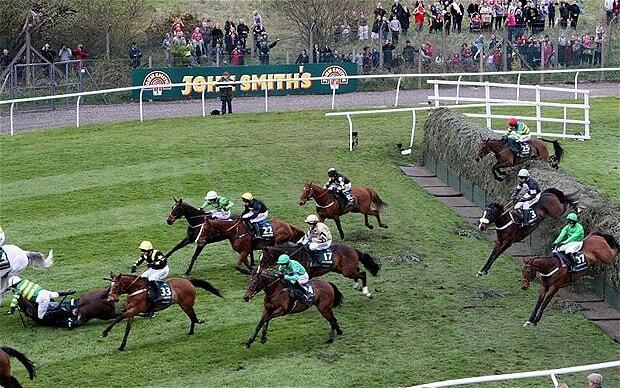 At 5.15pm on Saturday, April 8th, millions of people in the UK and around the world will be glued to their television sets as the annual Grand National Steeplechase sets off live from Aintree Racecourse in Liverpool, England. A national institution, the event has been held every year since the mid-1800s, with a notable five year absence during World War II when Aintree itself was used as a defence base by the British Army. This year, according to many experts, the event is set to be the biggest yet, as record crowds tune in to see who will win the Grand National and, just as importantly to some, which horses will be affording punters some big money payouts. Such is the popularity of the annual event that it regular attracts some of the biggest television viewing figures of any one-off event in any single year, including other major sporting events like the FA Cup Final and top musical concerts. For many years, it was the BBC (funded by the UK license fee) that reaped the rewards of such huge audiences, before Chanel 4, the one British terrestrial broadcaster most synonymous with horse racing, eventually took over from 2013 - 2016. When that contract expired last year, the rights were picked up by ITV for a cool £30 million. In moving to the United Kingdom’s biggest commercial terrestrial broadcaster, the world’s most famous steeplechase is predicted to attract bigger audiences this year, especially since the move to a later start time of 5.15pm was introduced in order to attract more early evening viewers. Whilst it’s the huge 4 mile, 514 yard race on Saturday evening that serves as the undoubted main event of British horse racing, it isn’t the only race taking place at Aintree in early April. From the Thursday afternoon, the course will play host to the annual Grand National Festival (sometimes referred to simply as the Aintree Festival) with scores of avid race fans flocking to the hallowed ground in Liverpool. When they do, they’ll not only be there for the big race itself, but they’ll also be dressing to impress as Aintree comes alive with style on Ladies Day, and of course, they’ll be there looking for the big payouts during the festival’s ever-illustrious opening day. Next to the ‘National itself, the festival’s first day of racing consistently proves a hit with die-hard punters, many of whom will be seriously studying form in the hopes of taking home the biggest prizes of the entire event. For some, it will be a case of asking which horses have been at their most impressive this season that will give them the clues as to which Grand National horses to bet on. For others however, it will be a simple as asking the one question top racing experts have been asked with increasing regularity as of late: Who previously won Grand Opening Day at The National? By working out the answer to that question, punters can gain valuable insights into which horses may fare best during 2017, and not only by looking at the names of the horses themselves. Sure, it would make sense to bet on the likes of Cue Card and Annie Power -both big winners during last year's Open Day- if they’re involved in the competition this year, but even if they aren’t, making note of which jockeys rode home to victory during previous years, not to mention which horse trainers have produced the best Grand National Winners can also pay dividends for those serious about making a profit on the world’s biggest steeplechase. With less than two weeks to go before the big event itself gets underway at Aintree, if there’s one guaranteed bet you can make, it’s that those punters will already be ploughing their way through the history books, studying this year’s odds, and gearing up to hit the jackpot. For the rest of us, all we need to worry about is sitting back and catching all the action live on ITV, cementing our place among what many experts are predicting will be a one of the biggest live audiences in Grand National history. It's this kind of "disrespect" that lead to giant-killing football odds at NetBet Sports being very interesting indeed. Unlike Arsenal , every Sutton player seemed more motivated for the tie but Arsenal's quality ultimately shown through. The threat, if carried out, would push up the value of the yuan making it hard for Chinese exporters to compete, experts say. The dollar index vaulted above its January peak to hit 100.22 on Tuesday, its highest level since early December past year .